I love reading to Athena. I think sometimes I read for her more than for me, but I’m alright with that because I get to find some new children’s books and rediscover some of my old favourites! For the first post in this series I’m going to talk about the three that we (or I!) have read most over the last couple of weeks. The Tiger Who Came to Tea – Who doesn’t remember this from their childhood? a lovely little tale with a twist at the end! Written by Judith Kerr who wrote the Mog stories, along with some books for older children like ‘When Hitler stole pink rabbit’ which I read just before Christmas and loved. Having escaped the Nazis herself, she’s a wonderful woman and an amazing author. 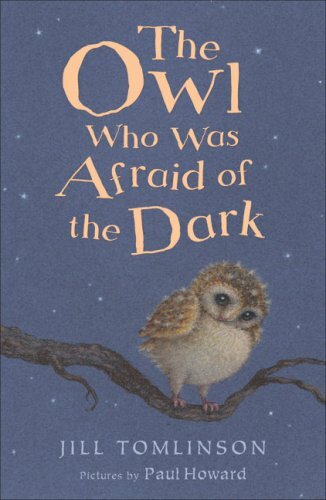 The Owl Who Was Afraid of the Dark – Not quite as much of a Classic as TTWCTT, but this is one I have such fond memories of from my childhood, my mum loved it because it had an owl in it and they’re her favourite animal. Owls are a big part of Athena’s life whether she likes it or not (if you’ve got any knowledge of greek myth you’ll know why) so when my mum gave this to her at Christmas we were all excited to re-read it! A lovely story of a little owl called Plop, who needs the reassurance of lots of people that the dark isn’t scary, and they tell him what they like about it. A good book for when toddlers do start to become afraid of the dark, I imagine! Talk to the paw was sent to us for review purposes, but this does not affect my opinion and all wording is my own. Not heard of the first one, but it looks sweet! TTWCTT is Aidens favourite book (his 2 fave teddies are tigers as well!) and I remember reading all about Plop in primary! My niece is currently reading it as well, it’s such a lovely story!